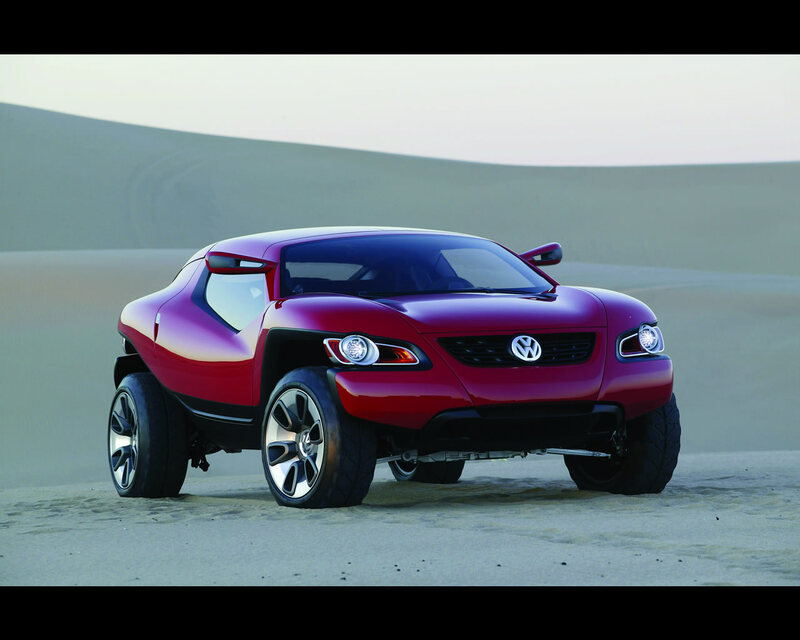 The Volkswagen Concept T Off-road Coupé was introduced at the North American International Auto Show at Detroit in 2004. 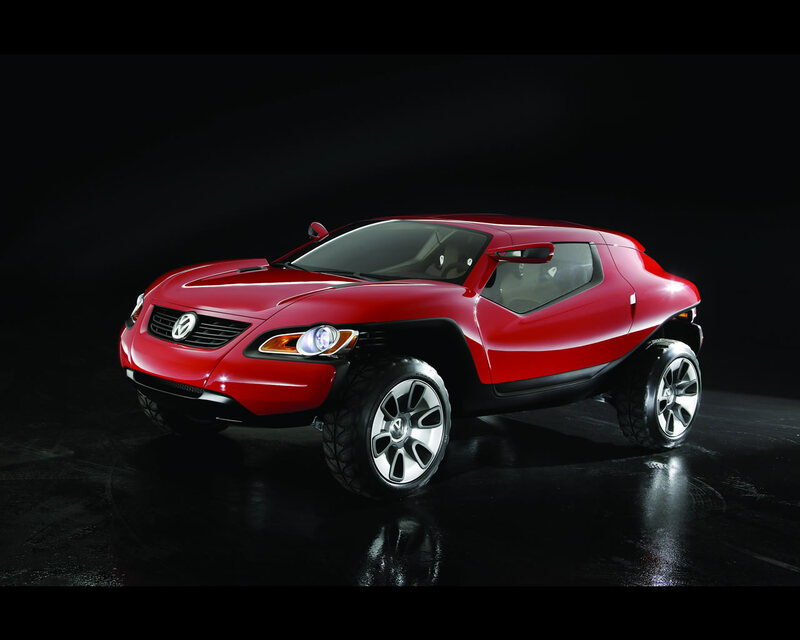 The Concept T represents a cross-over vehicle blending a high capability off-roader and an equally uncompromising sports car. 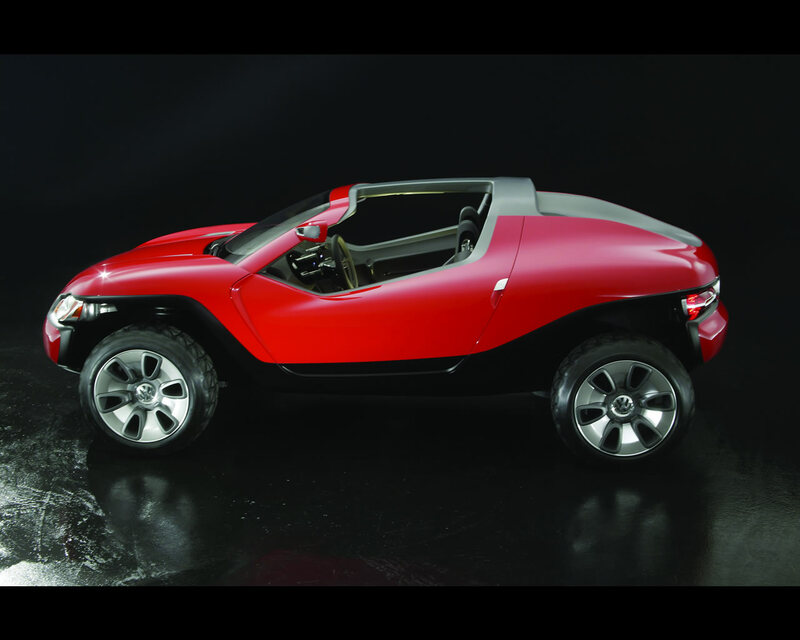 With its wing doors, this concept open a new market segment for sports car flexible enough to allow for driving off paved road surfaces and bring new lifestyle and leasures values. 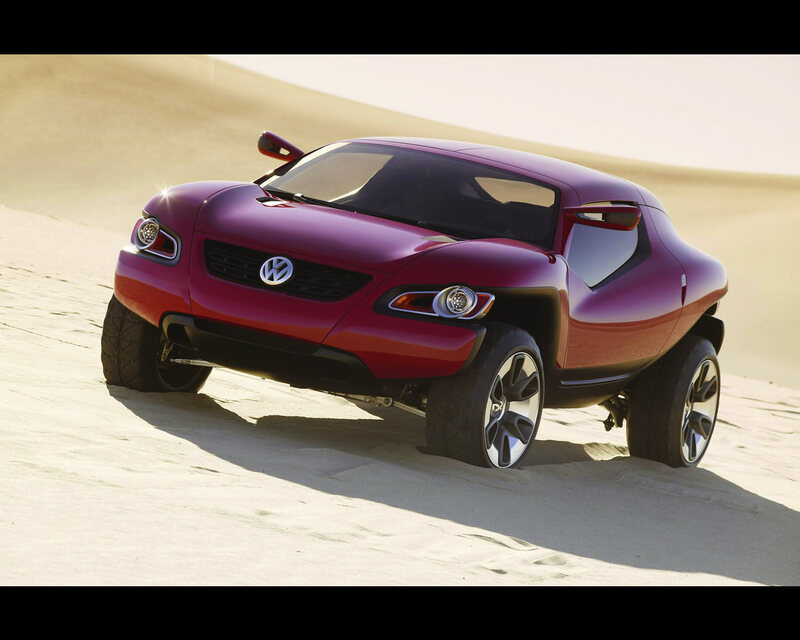 The Volkswagen Concept T is propelled by a 177 kW/241 hp V6 engine. This power is fed to the wheels by 4MOTION all-wheel drive in conjunction with an automatic gearbox (Tiptronic). 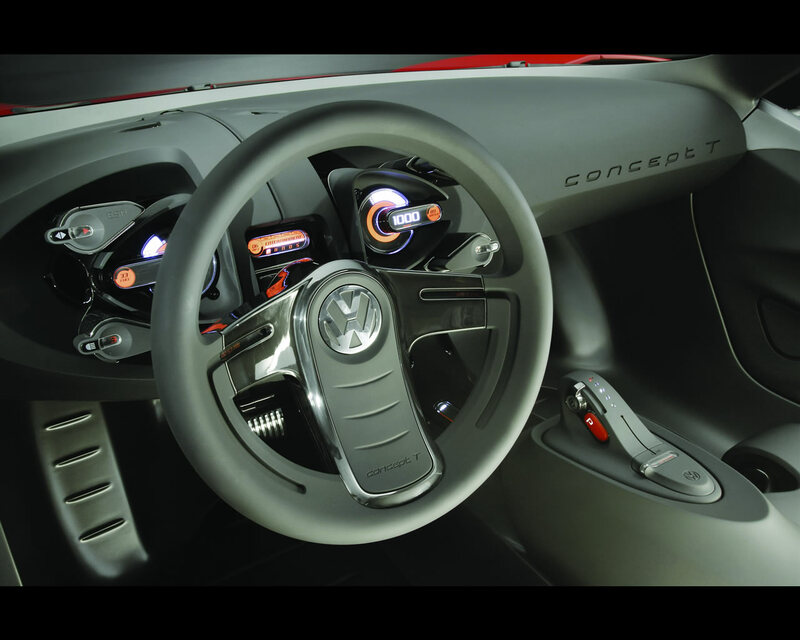 The Volkswagen Concept T accelerates from 0 to 100 kph (62.5 mph) in 6,9 seconds and its top speed is electronically limited to 230 kph (144 mph). 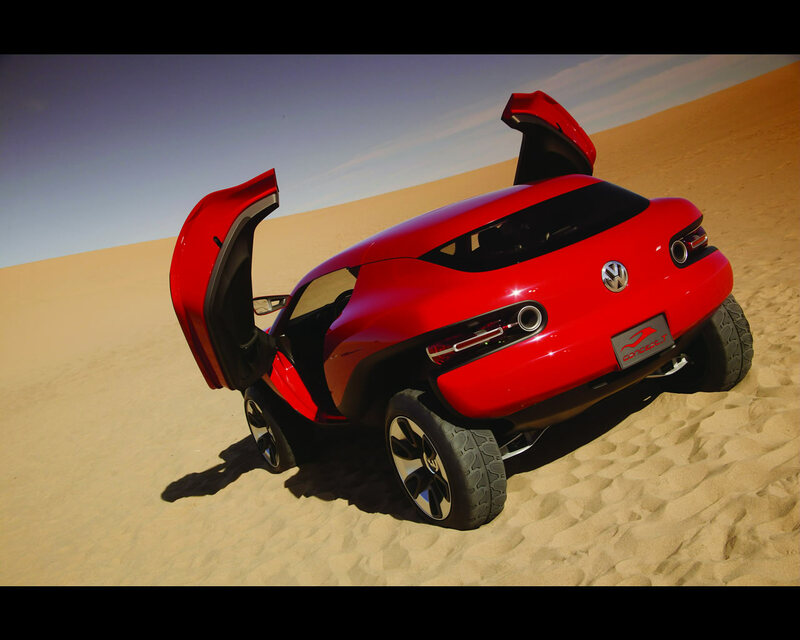 The exterior design is enhanced by wing doors. When opening, they simultaneously swing outwards slightly and move upwards steeply. They requires little space out to the side when opened. 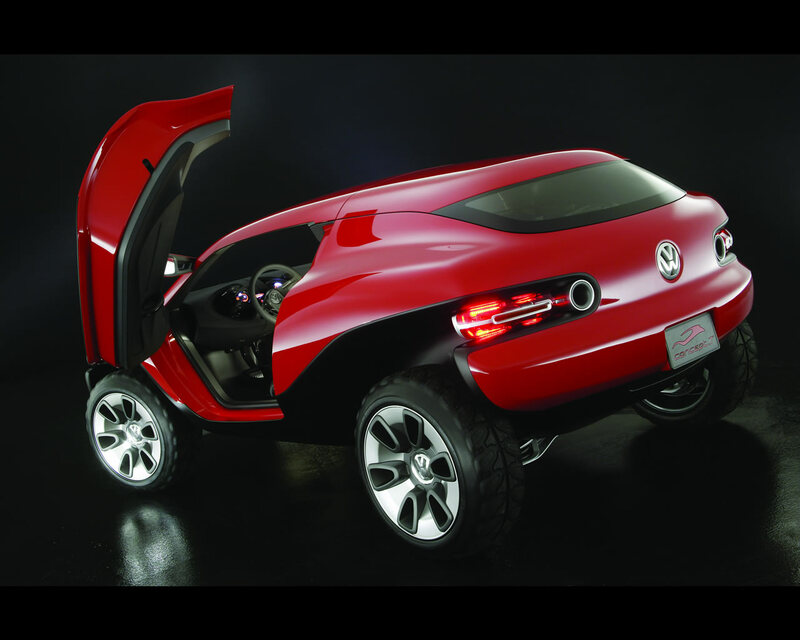 The Volkswagen Concept T has T-bar roof and removable rear hard-top. The two halves of the roof at the front (T-bar roof) can be removed in only a few motions. The rear roof module is constructed as a hard top with integrated trunk lid, but can be removed as well to reveal even more of the sky. 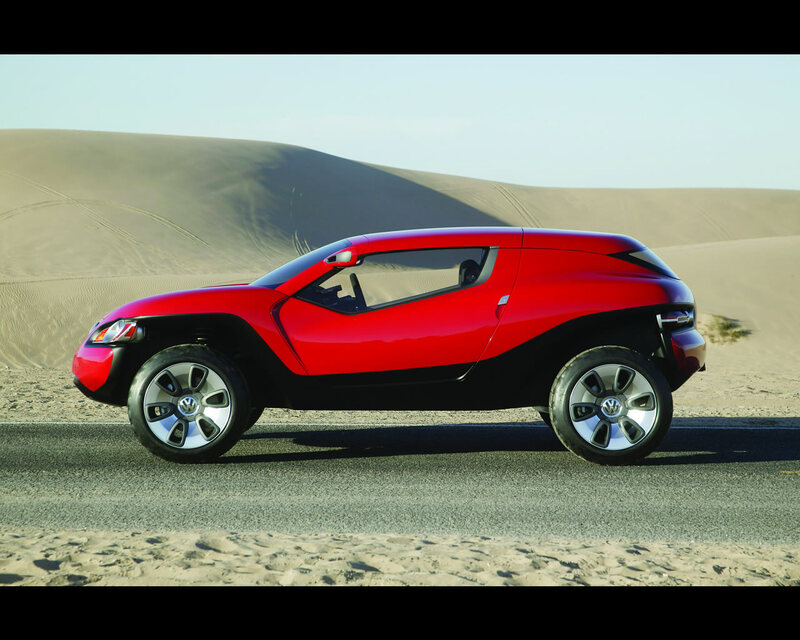 The front and the rear ends present a minimum overhang typical of off-road vehicle.